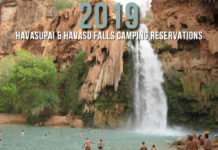 Many of the most popular campsites that accept reservations begin to fill up as soon as the reservations are available. Especially the prime campsites over busy holiday weekends in the summer months. 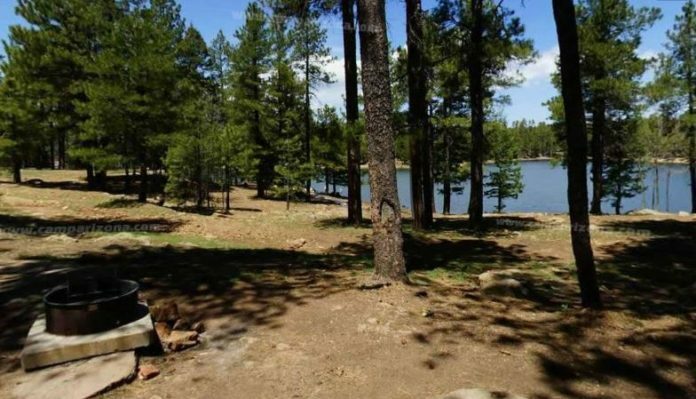 For example, I made reservations for Memorial Weekend 2013 at Spillway campground on Woods Canyon Lake in December of 2012 and most of the sites were already booked. I got lucky that year and grabbed one of the last remaining campsites. Don’t wait to book for the busy holiday weekends, just go ahead and book your campsite. You can always cancel your reservation if your plans fall through. For the big 3 Holiday weekends (Memorial Day, 4th of July and Labor Day Weekends), use the table below for best times to book your campsite. For the rest of the year, use the following chart. Remember that most of the campgrounds open and are first come first served usually until school gets out then, they start their accepting their reservation sites. Whichever day you plan on being your first day of camping in that month, look below and then you can make reservations that day six months prior to your camping trip. For example, if I wanted to camp from August 13th – the 18th, look at the chart below see that I can begin making my reservations on the same day in February or, February 13th. Without a doubt, I will get a huge amount of emails the week before every busy holiday weekend asking if there are any openings. By the way, I don’t have any access to the recreation.gov or reserveamerica.com database so I have no idea how many sites are open at any given time without looking it up just like you can do. You can book a reservation through one of the websites listed above up to six months ahead of time. So, if you know your camping dates, make your reservations the day they are available on the reservation system. 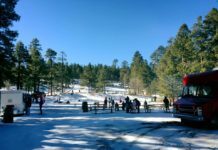 Not only are the big 3 holiday weekends going to book up right away, some of the most popular campgrounds will also start to fill up quickly for those few prized campsites that seem so hard to get. For those, you will need to be online and ready to book the day they start accepting reservations. Here are a few campgrounds and campsites that will book so fast, your head will spin. Make sure to book these campsites the day they become available and at 8am. they will most likely be booked a few minutes after 8am. Manzanita Campground – Oak Creek – Campsites 9,10 and 12 – 19. These campsites site closest to the creek and are the only ones available for reservation. The rest of the campground is first come first served. Spillway Campground – Woods Canyon Lake – Campsites 26, 25, 24, 23, 22, 21, 20, 19. campsite 26 by far the most popular then slightly less for each towards number 19. then everything else after that. Campsite 26 sits just above the lake. Do some research on our site and on each of the campground pages and when you are ready to make a reservation, look for this icon. This icon links to the campground page on www.recreation.gov and you can make your reservation from their website. Used the Canyon Point showers in August 2017 and they have raised the Day Use fee to $6.